Some bars are committed to the reduction of plastics. 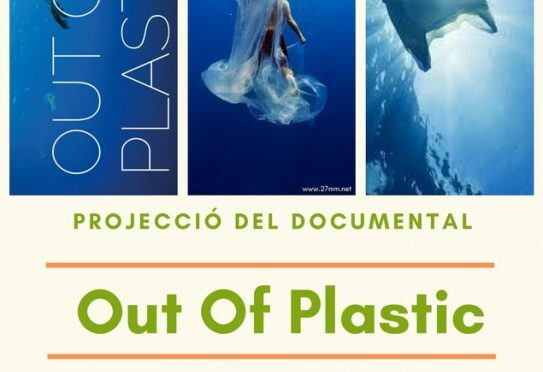 In the next few days, the documentary film, Out of Plastic, will be projected at different establishments in Menorca. The first one is Thursday 11 April at the Bar Mirador in Mahon. All the economic sectors can try to reduce the plastic waste generated by their activities. Utensils and packaging made from one use plastic convert into waste which lasts for hundreds of years and could be avoided if alternatives are found. To understand the problem which plastic is provoking in our immediate environment and to be able to discuss the options we have within reach, some projections of the film Out of Plastic have been programmed. The film is set in the Balearics and shows the effects on the marine environment. The first event will take place in the Bar Mirador in Mahon this Thursday 11 April at 8 pm where a shortened version of the film will be screened followed by a time for reflection and where existing alternatives will be explored. The following projections will be on Wednesday 24 April at 19.00 at El Romero restaurant (Plaza España in Mahon) and on Friday 26 April at 20.00 in the Sa Sínia Art Hub in Es Castell. This cycle of events is organised by GOB in collaboration with the Marilles Foundation, CleanWave and the respective bars. Please help by spreading around this email.